March 19, 2018 0 comments on "Homemade Hummingbird Food"
How Do You Make Hummingbird Food at Home? I love hummingbirds. They are so tiny and cute! If you want to attract hummingbirds to your own yard, there are some things you need to think about before you get started. 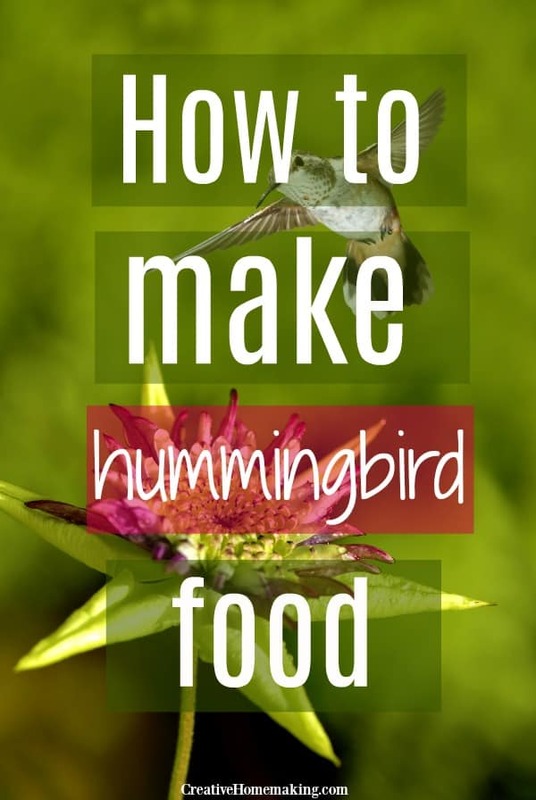 Then I will share with you my recipe for making homemade hummingbird food. There are two main keys to attracting hummingbirds: you need to have a certain type of bird feeder for them, and it also helps to have plants and flowers growing in your yard that attract hummingbirds. Hummingbirds migrate seasonally, so depending on where you live, hummingbirds may be more plentiful some times of the year than others. Where we live in southeastern Washington State, hummingbird season is approximately during the middle of May, although hummingbirds hang around all summer, depending on the location. 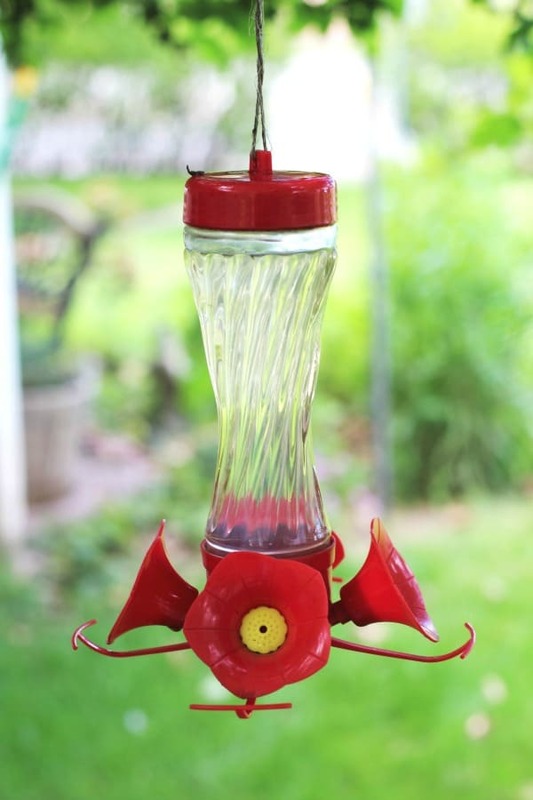 If you want to attract hummingbirds to your yard you will need a special hummingbird feeder, as shown in the photo above. You can get plastic ones or glass ones, both are fairly inexpensive, generally $10 or less. 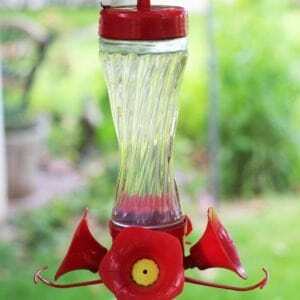 Hummingbird feeders also always have red on them because hummingbirds are attracted to the color red. Sometimes people even color the hummingbird food red so that the hummingbirds notice it from farther away (although this is not necessary). You can find both plastic and glass hummingbird feeders. Plastic ones are the cheapest, but the glass ones last a lot longer and are easier to clean. Amazon has a wide variety of beautiful glass hummingbird feeders like the ones below. If you decide to buy a hummingbird feeder, it is easy to make your own hummingbird food! All you need is sugar and water. The solution is 1 part sugar to 4 parts water, so if you use 1 cup sugar use 4 cups water. Heat the solution in a saucepan over low heat until the sugar dissolves. Cool, and then pour into hummingbird feeder. You can refrigerate any extra solution until you need it. The more hummingbird feeders you have the better! I have two in my front yard. It seems that having the feeders near a tree works well too, the birds like to hide in the tree and then come to take a quick drink. Enjoy your hummingbird adventure! Bird watching is a fun pastime for kids and adults alike.